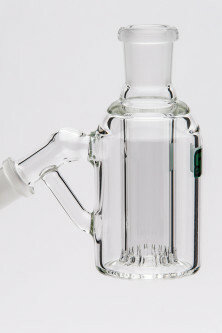 The fixed pill bottle ash catchers are sealed on both the top and bottom of the downstem (it is not removable). The perc action is to the side, not up, keeping overflow to an absolute minimum. 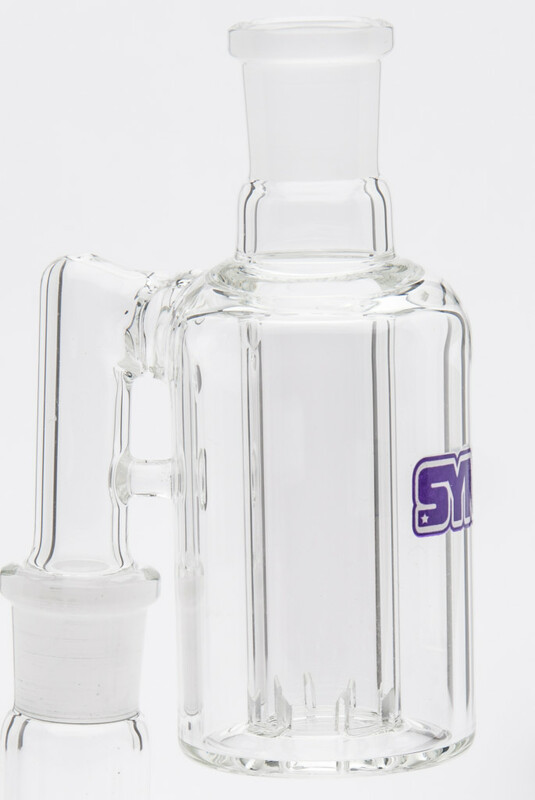 With a little extra water particulates will collect in central downstem, allowing for instant cleaning.